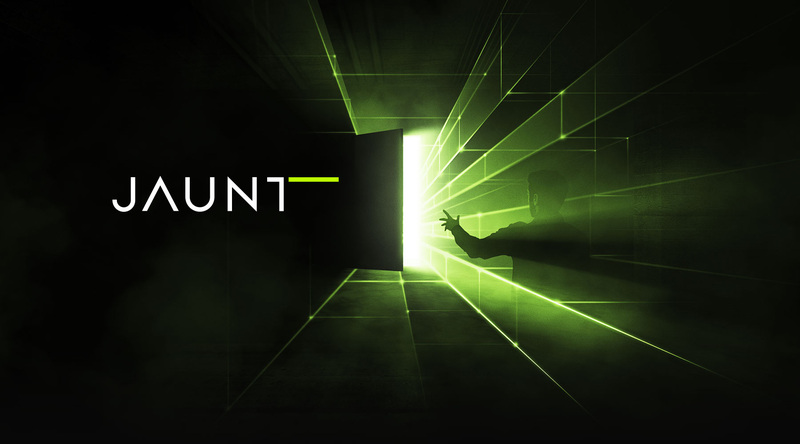 After nearly a year, Jaunt comes out of stealth mode today with what they hope will be the launch of a new content medium: cinematic virtual reality. For many months now, they have teased on their their website: “At Jaunt, we are developing a revolutionary new media experience. With our total immersion technology, you no longer just watch content, you live it.” Today they reveal their innovations, and announce they have raised $6.8 million in funding towards bringing them to market. “Jaunt’s technology combines computational photography, statistical algorithms, massively parallel processing, cutting-edge hardware and virtual reality.” That was one of the few hints we’d been able to dig up on Jaunt prior to a recent visit to their offices. Talk about a tease! We’ve been eager to get to the bottom of what they’ve been working on in secret for so long and they’re finally pulling back the curtain. Jaunt is creating hardware, software, tools, and applications to enable content creators to make powerful VR cinema experiences. We’ve been following Jaunt for some time, and were given an early glimpse at their technology and vision. There are four core areas in which Jaunt is focused. 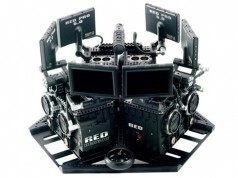 First, the team created camera hardware, capable of shooting 360 degree 3D video with surround-sound audio, which becomes the basis for a cinematic VR experience. Initially, an array of cameras was attached to a 3D-printed skeleton, which then sat on top of a quarter-height server rack. Functional, but not very maneuverable. Later versions are slimmed down and more portable. 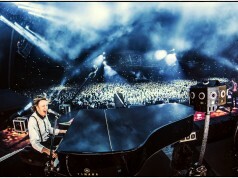 Second, Jaunt has developed software to stitch and encode feeds from the camera array into a single stream, and a player to distribute it to multiple platforms. Third, tools were developed that allow producers and editors to use the existing workflows they’re familiar with to work with this new format of media. Finally, demo content was created to show the potential of their cinematic VR platform. We recently sat down with VP of Engineering Tom Annau, CTO Arthur van Hoff, and CEO Jens Christensen in Jaunt’s Palo Alto office to learn more. Road to VR: Today you’re announcing you’ve developed a platform that gives content creators the ability to craft immersive, cinema-quality experiences, and deliver that to VR consumers. Let’s start toward the beginning. How was the company started? Jens: We’re about a year old. Arthur and I were EIR [entrepreneurs-in-residence] at Redpoint Ventures and we met up with Tom who had been an EIR there a few years ago. Tom: We wanted to work on something that was technically hard and challenging, but also a project that was fun. We wanted something that we were personally inspired by. 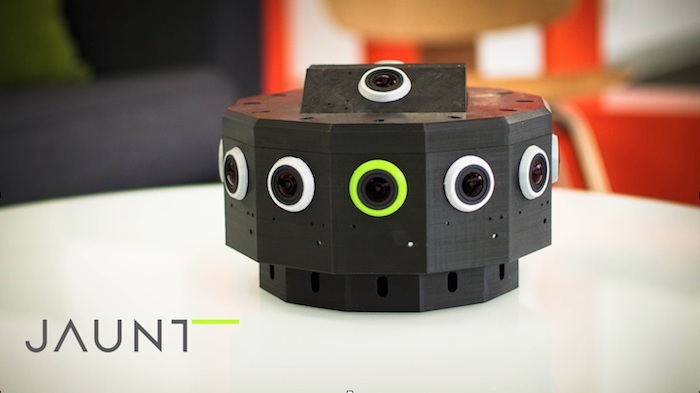 Arthur: We started at Redpoint [Ventures office]… and we were literally building a camera in the middle of their office. And we’re building this camera and we recorded ourselves. And then when we showed it to [the VC’s]… earnestly, we were thinking, well, we’re going to pitch and… but when we showed it to them, they immediately got it. We never showed any Powerpoint slides to anyone [laughter] and they gave us some money and said keep doing what you’re doing. Do more of that! Tom:It just feels like the future. People have been predicting something like this has been coming for a long time, but sometimes the timing isn’t right, the technology and the price points of everything… the reason Oculus can do what they do is because of cell phones and the screens, and for us, on the other side, we’re talking about cameras and CPU and processing power and storage space. This feels like the time is right for all this stuff to happen. To date Jaunt has raised approximately $6.8 million in seed and Series A funding from Redpoint Ventures, Peter Gotcher, Blake Krikorian, SV Angel and British Sky Broadcasting (Sky), the UK and Ireland’s leading pay TV and home communications company, among others. They’ve also assembled an impressive team. Besides the principals of the company, the Board of Directors includes Tim Haley, a Managing Director at Redpoint Ventures who is also on the board of Netflix, and Peter Gotcher, Chairman of Dolby Labs. Jaunt also has a strong advisory board, which includes Brad Wechsler, Chairman of the Board at IMAX, Babak Parviz, creator of Google Glass, Bernd Girod, Professor of Electrical Engineering at Stanford University, and Mark Romanek, film and music video director. 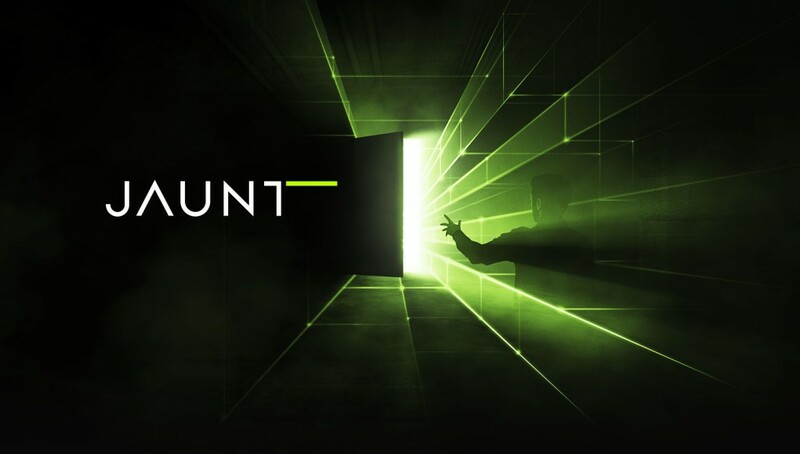 Jaunt showed me some of the demo experiences created with their platform; I wore an Oculus Rift HD prototype and was surrounded by 12 speakers. In one scene, I was in a park surrounded by Shaolin Monks performing a martial arts demonstration. In another, I was a few feet away from Megadeth’s Dave Mustaine in his backyard as he played acoustic guitar. Next, I was perched atop a hill on a clear blue day, with a front-row view of the Golden Gate Bridge and boats navigating San Francisco Bay. Then I was in a church, surrounded by the amazing voices of Oregon’s iSing Choir. Last, I was aboard a distressed crabbing boat with a first-person view as action happens all around me. In each of these demonstrations, I was able to turn in my chair and look in 360 degrees (with the exception of a small circle near my feet). Besides some stitching issues, the experience was extremely compelling. The picture quality was quite good (and will improve with Rift DK2 or Morpheus). I recently tested a different 360 degree cinematic solution at GDC 2014, and in that demo I felt a sense of distortion just outside of the area where my eyes were focusing. There was no such effect with the Jaunt system; the picture remained crisp and free of defects when looking around. Further—and this was executed so naturally that I wasn’t consciously aware of it until told about afterwards—the position of audio cues shifted naturally based on where I was looking. For example, if you’re looking forward at someone speaking to you, you will hear their voice fairly equally through both ears. If you turn your head to the right, the sound becomes louder in your left ear, similar to the real life experience. Jaunt’s ability to rotate the audio (so that actors remain fixed in space regardless of where you’re looking) is both subtle and powerful. Jaunt only has test content right now, though they’re in talks with various parties to produce real, high-quality content. “There’s a lot of technology to create truly premium, incredibly immersive experiences here… all the way from capture systems to the encoding, there’s a lot of interesting, hard technology problems,” said Tom Annau, VP of Engineering at Jaunt. With regards to distribution, Jaunt is aiming for broadcast speed. Initially, content files will be download and view, but with an eye toward being able to stream at high resolution over consumer broadband in the long run. Road to VR: What have you learned in terms of do’s and don’ts when doing this kind of production? Arthur: The thing we found is, moving [the camera] in the context of a moving object, like in a car, or in a train—that can work—but moving the camera by itself is very disconcerting, and we’re trying to stay away from that. We’re actually being overly conservative. We’re really not moving the camera, mostly to avoid issues with nausea or otherwise giving people a bad first impression. Tom: But you could actually switch perspectives. Even though the camera doesn’t essentially move, you could have a couple different perspectives of a scene, potentially giving the user control [to change angles] with some sort of transition. We’ve been comparing this to the early days of cinema. For example, they didn’t start off with cuts. People thought that might be really weird to suddenly change viewpoints. And now we’re so used to it where you can watch commercials where they cut every second. We think the medium evolves and the audience evolves; the visual metaphors can be much more sophisticated and people can get them and [you can] keep ratcheting up. Jens: And there are challenges in terms of storytelling. You have to help cue the viewer [into] what they should maybe be looking at so they don’t miss some important piece of action. Those are the types of things directors need to start worrying about. 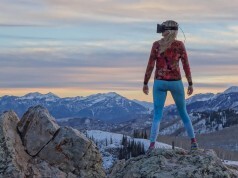 Road to VR: What are the challenges between now and getting it into people’s hands? Jens: One of the main ones—and it’s not really so much on us — is to get enough of these goggles out there. I think that will happen, and it will happen quicker than we might imagine. There’s obviously Oculus, and Sony has announced, and I’m sure there will be other players as well. 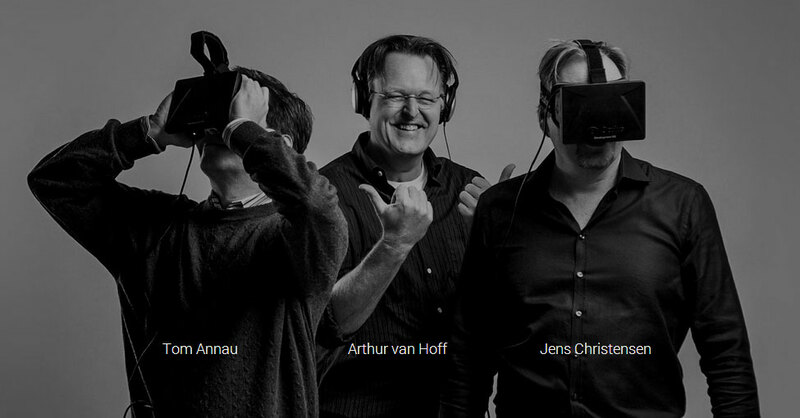 TG: When we started this project, we’d say we’re working on Oculus, nobody had any idea what we were talking about. Now, it’s almost a household name. It’s good. It’s a tremendous validation of VR. Besides the fully-immersive demo I was given, the team also showed off one of the demo videos running on an iPad. I viewed the same short scene of monks performing martial arts in the park, only this time on a standard iPad. Jaunt’s iOS viewer allowed me to rotate the scene by moving the iPad, or I could use a finger for the same effect. Having iOS support gives Jaunt a big head start in finding an audience for their technology. Going forward, Jaunt needs to continue to lock down content deals and put that content in the hands of consumers. In the same way that IMAX is the brand for immersive theater movies, Jaunt has its eyes set on being the go-to brand for cinematic virtual reality. We’ll continue to follow Jaunt as they execute on their vision. They aren’t the only ones working on this tech but it’s nice to see another group bringing us immersive 360 degree 3D video’s and movies… What would be your favorite movie to watch this way?? For me it would be the Matrix all the way… Speaking of the Matrix I read they have scripts for 3 more movies… With VR coming now would be a great time to make them… Ready Player One is being made into a movie and I would not be surprised if Snow Crash gets made now… The movie rights are already bought so look for that one to be made soon!! I hope this does not involve going into a theater and putting on a VR headset. That would be silly. Not at all, and if my article gave that impression, that’s my failing. The 12 speaker set up was for their demo studio, but it worked just as well with headphones on.